Preview is available for current owners of the FaeVerse Fate bundle. The dark tide of the awoken one rises, and with it comes a chasm through the skies. The cosmic voice eats up the light. Leaving all but frail, wretched beings bereft of spirit who wander the lands in search of the spark, the ember of life. Beware the grey, indomitable fog. - 1.0.16.11.19 (Preview Build 14) Introduced ooze walls and slime balls. Ooze walls work sort of like sand, but they do not regenerate. As you play cards, ooze walls lose 1 tick, and, once they reach 0 ticks, they are destroyed - allowing the card below them to be played. Once played, slime balls turn a random top of stack card into an ooze wall. You will want to be careful with how you play slime balls otherwise you might block your ability to play the layout at all! - 1.0.16.11.18 (Preview Build 13) Added another location with a mix of mechanics. - 1.0.16.11.17 (Preview Build 12) Introduced a number of new cards. Once exposed, bombs will explode after a number of turns - leaving behind a pile of ashes, and destroying a number of cards from your deck. Clear bombs before their adverse effects can trigger. Avoid exposing bombs without having a plan to clear them ready. Ash can be cleared by clicking on it, but it will end any active combo and force a deck draw. Aura cards cannot be played with conflicting colors, but can be played by both their own color and normal cards. There are red and yellow aura cards for now. Armor blocks a stack. As you play cards, the armor is slowly destroyed. Shields will repair armor if clicked, but can be destroyed after playing enough cards. Swords will break armor down. - 1.0.16.11.16 (Preview Build 11) Introduced shadow and light cards. Shadow cards block stacks. Light cards can be used to clear a random top of stack shadow card, or, if there are no top of stack shadow cards, will turn a random shadow card into a light card. - 1.0.16.11.15 (Preview Build 10) Added a new location with mixed content layouts. - 1.0.16.11.14 (Preview Build 9) Introduced hexes and gates. 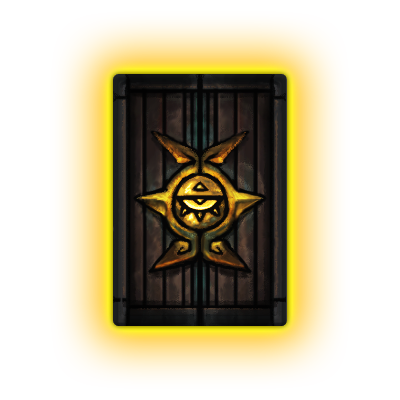 Break the seal of a hex to unlock a gate - or clear a cursed card to unlock the gate. - 1.0.16.11.13 (Preview Build 8) Same as previous update, another location with a mix of mechanics. - 1.0.16.11.12 (Preview Build 7) Added a new location with a mix of the previously introduced mechanics. - 1.0.16.11.11 (Preview Build 6) Introduced fireball and web cards. Fireballs can be used to instantly destroy webs. Playing cards can also build up enough friction to ignite a top of stack web. - 1.0.16.11.10 (Preview Build 5) Introduced salt and bone cards. Bone cards can only be played while you have an active combo while salt cards can only be played outside of combos. - 1.0.16.11.9 (Preview Build 4) Introduced sand and deep sand cards. Playing cards lowers sand, drawing cards increases sand. - 1.0.16.11.8b (Preview Build 3) Introduced shifter cards. Up, down, alternating, and mad shifters. Shifters may change value as you draw cards from the deck or play cards. - 1.0.16.11.7b (Preview Build 2) Introduced new color coded Brier Thorn and Lotus Rose mechanics. Destroying a rose of a color destroys its thorns, and some thorns require multiple color roses to be destroyed. - 1.0.16.11.6 (Preview Build 1) First version. Introduced cursed cards. 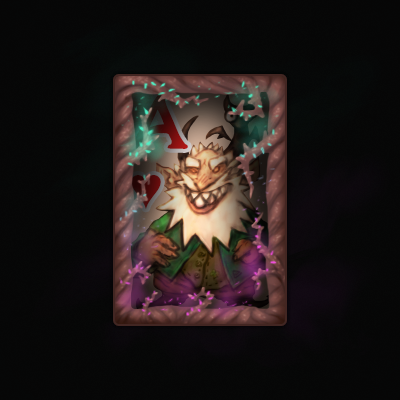 The main objective of FS Dire is to remove all cursed cards hidden under stacks. A Mac build is available, but we are still working to improve support for Sierra. For people using macOS Sierra, and have a problem launching the Dire Preview, go to system preference (under security & privacy) and check allow apps to download other than App Store for the Dire Preview to work. This first preview includes one location which loops. Your goal is to remove the cursed cards hidden under specific stacks. Try the new spare button to the right of the foundation. The new preview builds will include much more content to play.